Miyamoto eyes Austin-based Retro Studios as a possible fit for one of Nintendo's most beloved franchises. During a recent interview with Wired, Nintendo's Shigeru Miyamoto revealed that U.S. developer Retro Studios could be brought onboard to assist with the next Zelda title. The Austin-based studio is owned by Nintendo and perhaps most famous for reinventing the celebrated Metroid property for the GameCube. "As you know, we have already collaborated with Retro for the Metroid Prime series in the past," Miyamoto said. 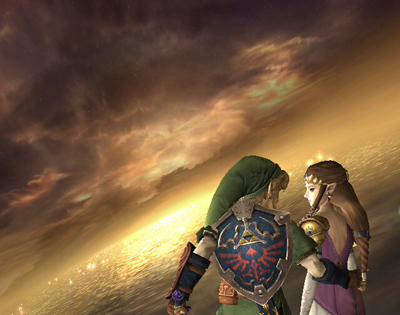 "And I think when we talk about any other franchise, Zelda might be a possible franchise for that collaboration." Aside from Metroid Prime, Retro Studios has already proven themselves with work on other critically acclaimed games such as Donkey Kong Country Returns, and more recently did some work on the--wait for it--retro courses in Mario Kart 7. "People often say that videogames made by Western developers are somehow different in terms of taste for the players, in comparison with Japanese games," Miyamoto continued. "[On Mario Kart 7] we were able to join forces in order to realize a variety of different courses, a variety of different tastes. I think that's one reason how it worked out well between a Japanese development team and a Western development team." This isn't the first time Nintendo has praised Retro, nor would this be the first time it's gotten some help from another developer on a Zelda title. Capcom was involved in the development of Oracle of Seasons/Ages on the GBA, while Monolith Soft helped with Skyward Sword. While there's nothing concrete to say about Link's next outing, according to an inside source at Retro, the studio is already working on "a project everyone wants us to do" for the upcoming Wii U. If that project does turn about to be the next Zelda, it would be the first time a Western developer has had their hands on the series since its debut over twenty-five years ago.